So pretty and intricate! 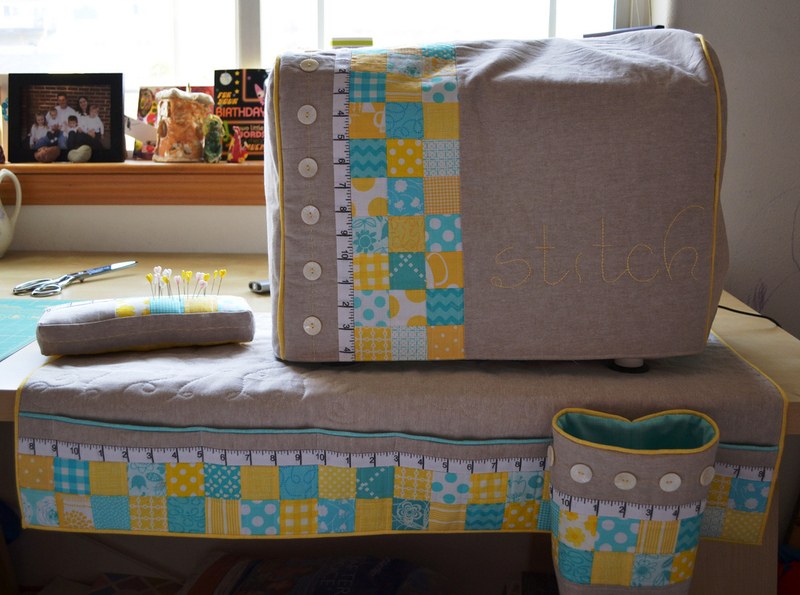 I know she was also working on a chair cushion, so pop on over to Porch Swing Quilts to check it out. Also loved these birds (Oh Deer! by MoMo for Moda) and stripes (Simpatico by Michelle Engel Bencsko for Cloud9 Fabrics) for my oven mitts (pattern found here). Even after I'm done cooking, I tend to wear my apron around the house, so I designed this one with princess seams to be less frilly and more fitted. The original incarnation was a bit too simple, so I added a little scalloped neckline and a boutonniere, so I can pretend I'm going to the prom while making dinner :) And it's blue polka dotted on the reverse side, so it's actually reversible! Here's me, pretending my Dutch oven doesn't weigh as much as my two year old as I wait for my camera timer to go off. And here's a close up of the boutonniere, which was made from four folded circles of fabric, sewn together at the center with a fabric covered button. Easy! I'm so excited about our entry for Challenge #2--both buddy's projects were practical and pretty. Way to go! Lovely kitchen set! Do you kniw of a good tute for oven mitts, by any chance? Thanks! The oven mitts were made using this tutorial: http://craftycupboard.blogspot.com/2010/11/handmade-gift-idea-1.html. I like this version better than the "2 dimensional" ones! I think my favorite photo is where your biceps are bulging ever-so-slightly from the weight of that Dutch oven--those things are beasts!! 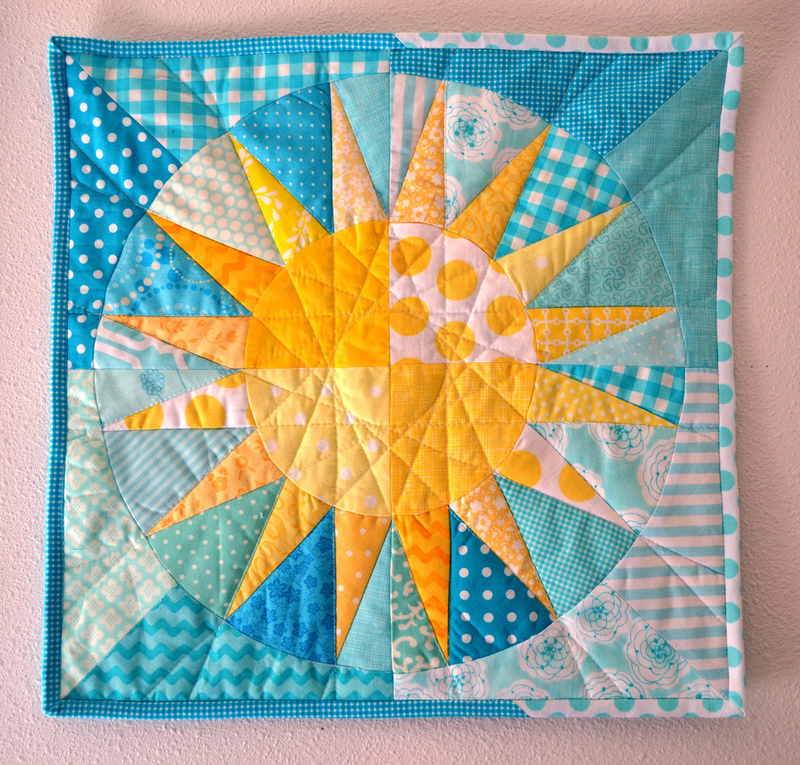 Congrats on your FIRST PLACE win, announced on the blog today. Woot! Awesome!! Love the colors. Makes you smile when you look at all of the pieces.